BeeLick Cosplay has been cosplaying for about two years now. Their first cosplay was at a Halloween party where they dressed as Scott Pilgrim and Ramona Flowers. We went to Salt Lake Comic Con shortly after that. That was our first foray into the cosplay world. Now it’s been more than two years and Ryan and Candace still enjoy it, so they’re going to keep going. They’ve developed a big list of things they want to do and it keeps growing and growing. 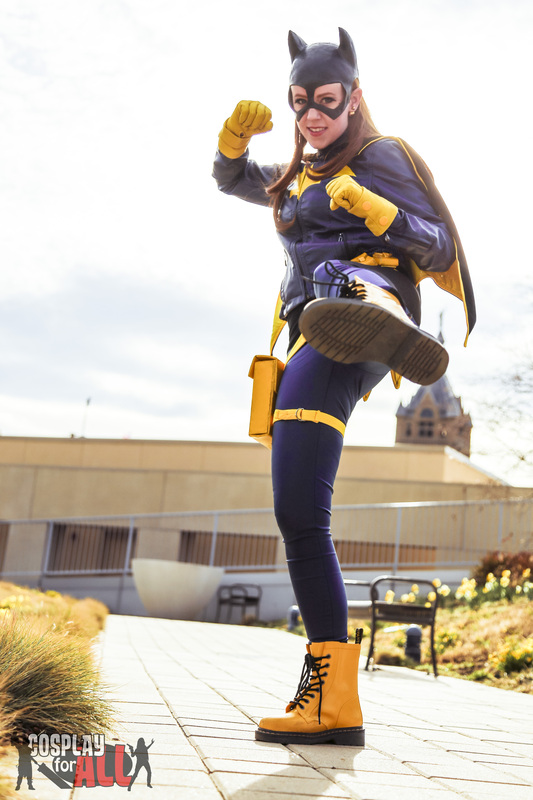 The costumes Candace chose to wear on our photo shoot was new 52 Babs Tarr redesign version of Bat Girl with her cute Doc Martens and her cape aka the Batgirl of Burnside. This is not the one you typically see when you google Batgirl. Search Batgirl of Burnside and you’ll find it. 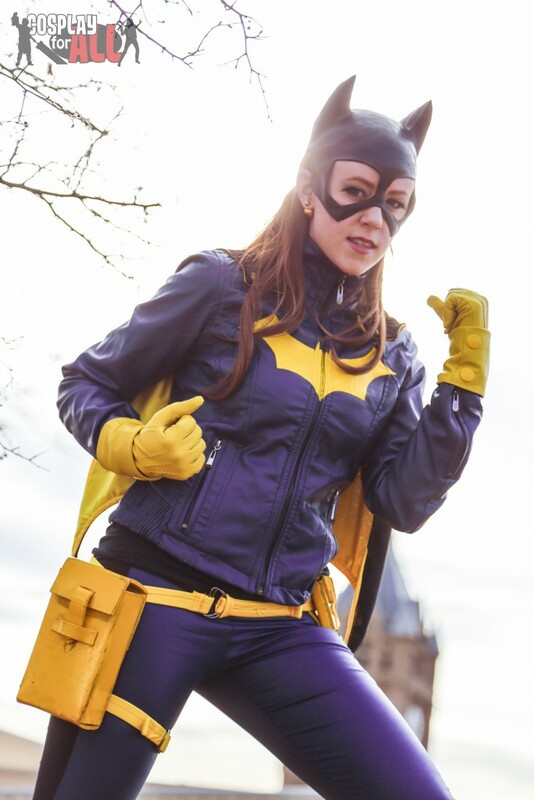 In the first episode, Batgirl is college aged and is out to find a laptop thief. Candace really likes that this new quirky fun girl is really smart and can take care of herself. This new version speaks to her and they nod a lot to social media and how that would play into an average superheroes life. In one of the comics someone is posing as her and it causes her a lot of trouble. She embraces and decides to use social media. She’s doing a selfie on the front cover of her first issue. Candace chose this version because of the practicality of her costume. It’s the most comfortable cosplay she’s ever done. 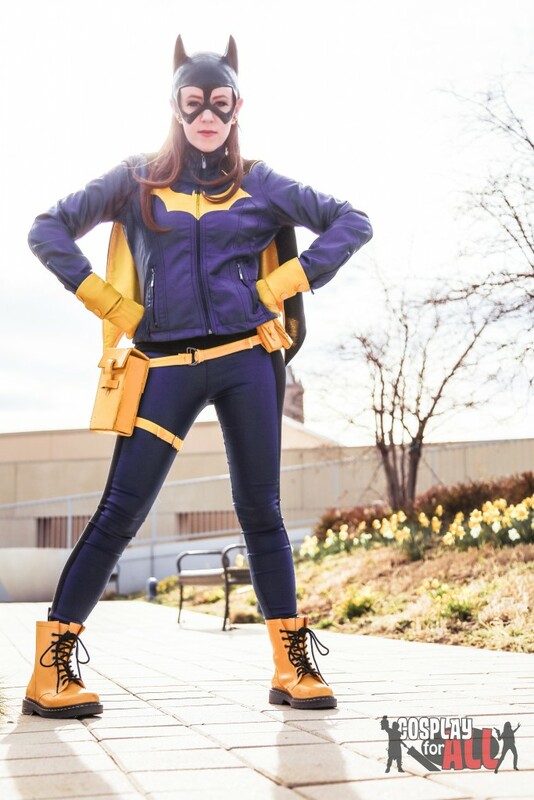 If there’s something you learn when you first start cosplaying, the superhero costumes with high heels, crazy capes and eye wear wouldn’t actually really work a lot of times in real-life crime fighting. Your vision is reduced, your cape gets snagged on something, and who can kick in heels? 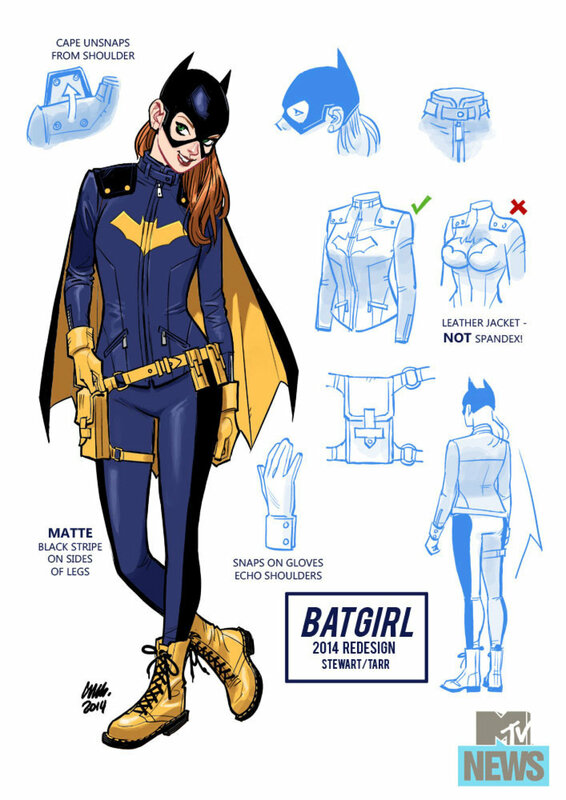 So this Batgirl is wearing boots and the cape is using snaps so it will pop off if it gets stuck. As I went through my cosplay photos from FanX, Candace’s photo stuck out to me as highly detailed and accurate even though at first glance you may not realize that to be the case. So I reached out to Candace and Ryan hoping to get an interview to talk all about their costuming world. 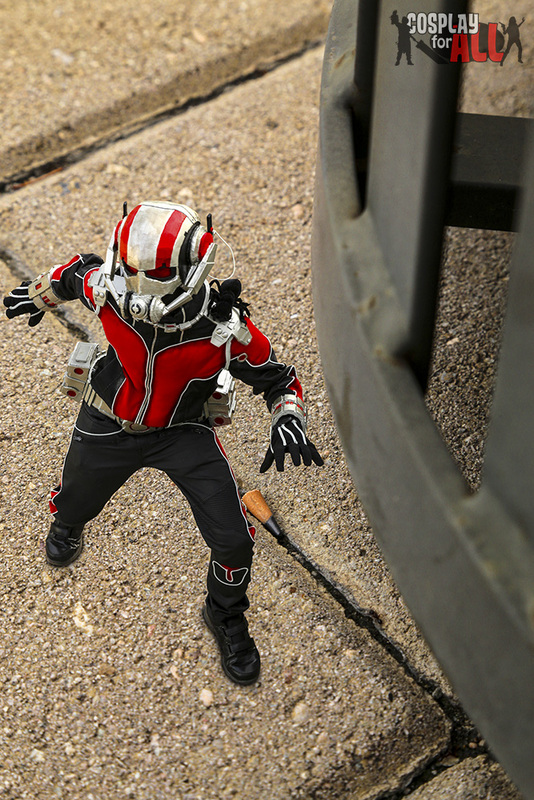 Ryan is dressed as the new Ant-Man from the Marvel cinematic universe. This shoot and interview was done quite a while ago and by Ryan’s knowledge at the time he was the only person to have actually tried the new Ant-Man costume. He wanted the challenge and something that would test his ability to notice detail. It’s an interesting design compared with the previous version of Ant-Man. This one looks a little more tech savvy. Ryan probably watched the trailer 45 times or more trying to figure out how to do it. It took about 250 man hours to complete. 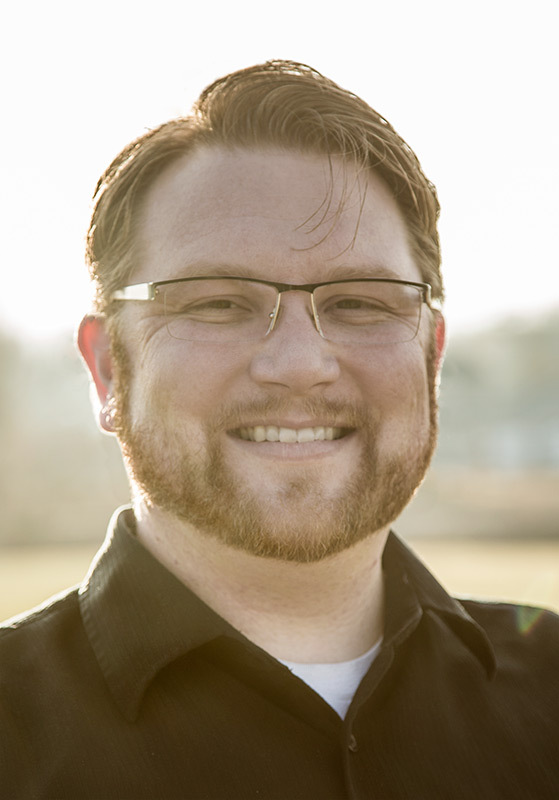 Ryan’s advice to people getting started is that everyone starts somewhere. There are a lot of tutorials online about how to get started. You just have to kind of go for it. Wing it and sit down and try it. Your first cosplay is not going to be what you think it is, it’s going to have it’s problems and that’s ok. Cosplay is all about developing a skill and progress. Even the most experienced cosplayer who is putting time, money and skills will have things about their costumes they wish they could change or do better. That is the true beauty of cosplay is that you’re always trying to learn and do more. Every time we do a costume we’re trying to add a new skill we’ve never done before. You may want to rage quit your costume. Halfway through making the latex mold for the cowl, she wanted to never do it again but talking to people about how she did it made it all worthwhile. Candace did molding for the first time for Batgirl. She had never done sculpting. First you have to create or sculpt it out of clay. Candace did her mask sculpt directly onto a foam head about the same size as her own head. Then once it’s all sculpted out, you cast it into something like paster of paris. Then you pray like crazy that every time you pour the liquid latex into your mold that no bubbles will form. When it finally turns out, it is super rewarding! You’re just not sure what you’ll get until you’re done. 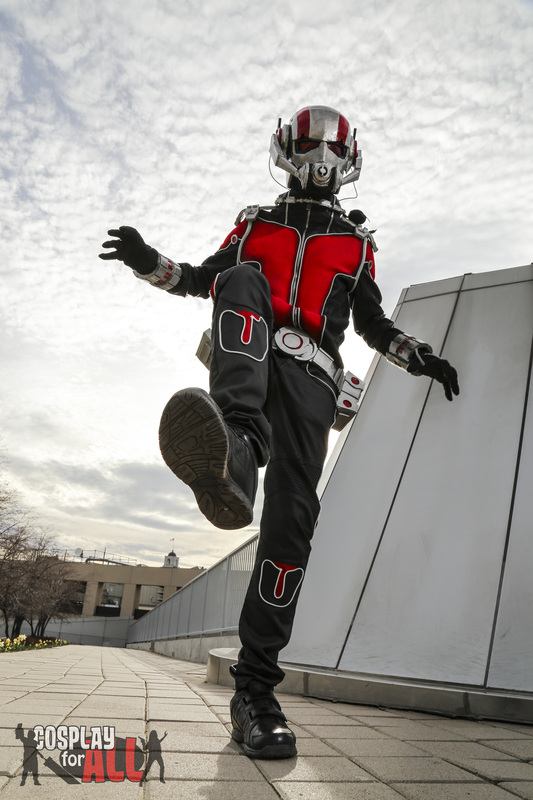 Switching gears, BeeLick cosplay has had a really great experience meeting other local cosplay groups and members of the cosplay community. They’ve met people at FanX and other community events. They turn into a group of friends that you see a couple times a year. You don’t have to explain anything to them like you would your regular friends. They get legitimately excited compared with your Great Uncle Berdith who just comments on your posts out of courtesy. Ryan would like to inspire people by dressing up as their favorite characters. He doesn’t have any careers aspirations, but it’s a really nice hobby keeping him busy during his time off. Just being able to do it for themselves is enough. Others like to get together with like-minded people, some people like to push themselves to new areas, while others like it for the modeling aspect. 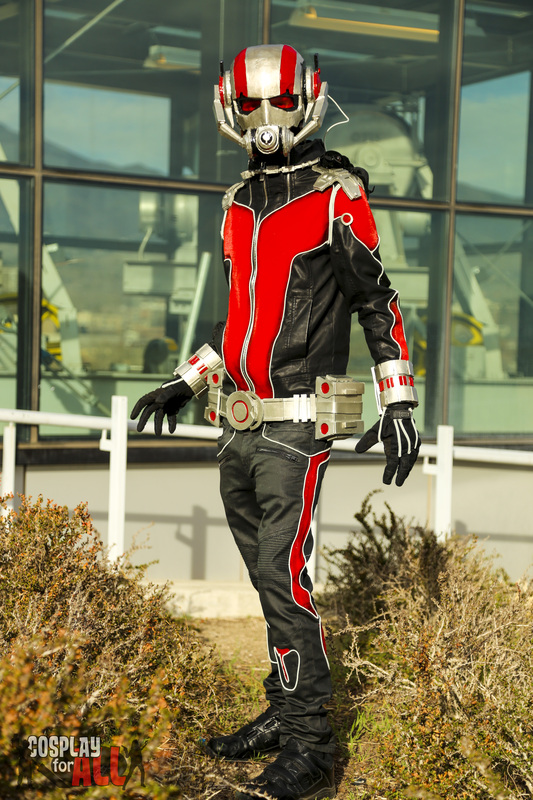 There is no wrong reason to cosplay…. EVER! Future costume builds right now include: Transformers Soundwave with a working cassette deck. Doctor Doom, Stealth Suit Spider-Man, Nordic Plate Armor from Skyrim. Candace is eyeing a gender-bent Jaime Lannister from Game of Thrones. Another project includes Cyrax from Mortal Kombat for a group cosplay venture for Dragon Con this year. Between the two of them, they’ve probably made 11 costumes in the last year. The Turtle van was probably their biggest build this past year. The Turtle van was probably the funnest build they’ve done. People freaked out and it was fun to drive. 1. Pockets. You want to be costume accurate, but having a place to put your phone, wallet and keys. Sometimes the biggest cosplay arguments they’ve had are over who is carrying the bag of stuff. Try to remember how much you’ll end up purchasing and bring something that can carry it in. 2. Make sure your costume is “restroom friendly”. Ryan’s first costume at Salt Lake Comic Con was Deadpool. He had grenades, gun, belt, a bodysuit and compression things underneath. He couldn’t get his arms off because of the wristband. He had to zip the costume down and pull it almost off to use the restroom. On Candace’s cape, even with the snaps, the cape kept coming off so she sewed it on. This was a challenge when using the restroom. 3. Be conscientious about other people’s costumes. You might realize that some people have very delicate items on their costumes. The armor you’re looking at may be made out of cardboard or foam. Try not to touch it. Cosplay is not consent to touch my cosplay. 4. Make it so that you can see really well. Ryan’s Black Manta made it so he couldn’t see or hear very well. They had to develop a system for his handler (Candace) to make it be known to him what to be doing. 5. If you feel discouraged, reach out to the cosplay community. A lot of people have been in your shoes before. If it’s costume issues or any other concerns. They’ll help you feel better and find there is a lot of support out there for you. 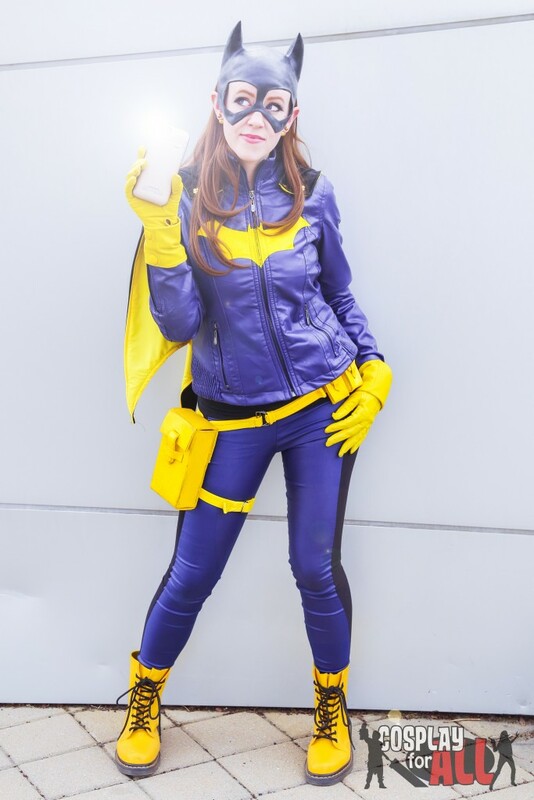 An avid photographer and con-goer, Trevor has spent the last few years developing great affection towards the cosplay community and comic conventions. Back in the day, Trevor spent all his spare time in the theater designing and building sets and lighting schemes. More recently Trevor has dabbled a little with cosplay by building an elaborate Burger King costume and lit Kevin Flynn. But in relation to cosplay, Trevor is probably most passionate about cosplay photography. 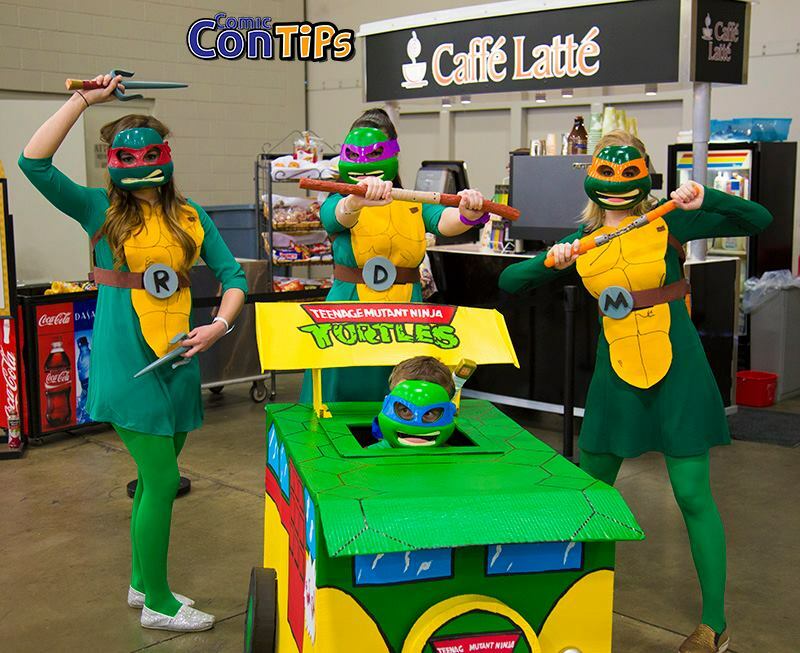 Here on CosplayForAll, you'll find many of his spotlight articles and photos of local cosplayers showing off their amazing creations. Feel free to get in touch with him if you have any questions or requests. Next story  Chris Evan’s sweater smells like husband material.